Three years ago we went with Kate and Brad on their honeymoon in Maui, and spent an evening at a concert by Ledward Ka’apana, on of the worlds preeminent ukulele and slack key guitar players. 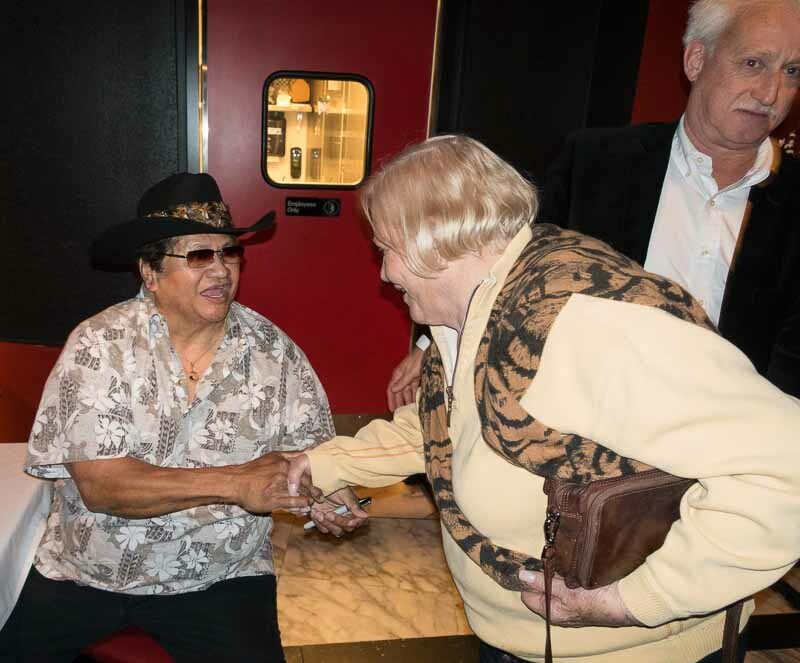 He is currently touring the area, and Thursday night we went to the Fenix in San Rafael to see him. The very modern lounge before it filled up. 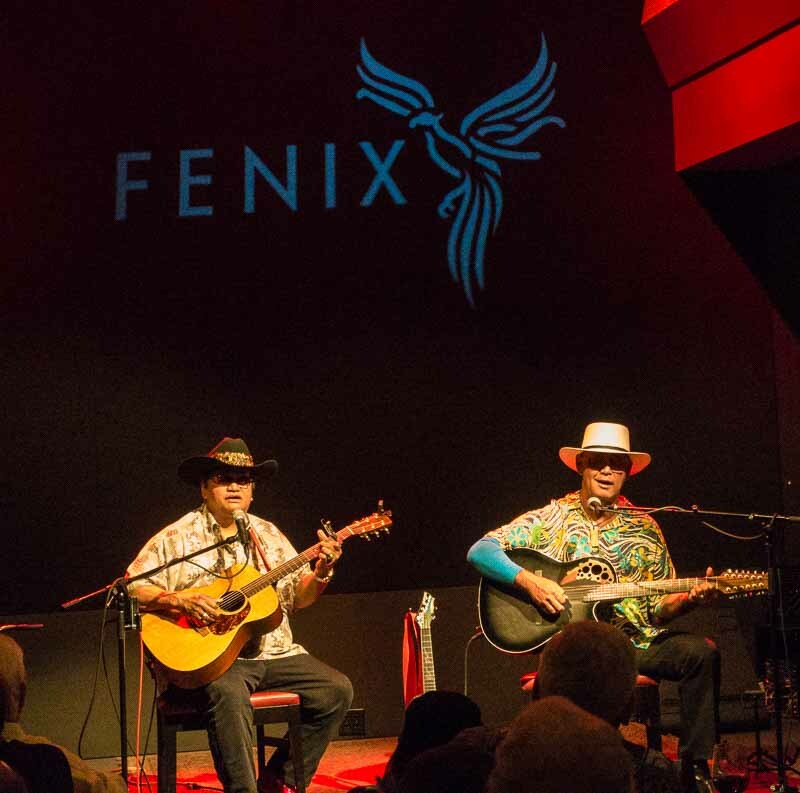 The Fenix is on 4th street in downtown San Rafael, which was closed to traffic due to the Farmers Market, but we got there anyway. The show was at 8; we arrived at 7 to order dinner. Big mistake. The food was mediocre to poor, the service was execrable. Dinner at Burger King beforehand would have been a better idea. Skipping smoothly to the show, Ledward and his partner Mike Kaawa without fanfare and commenced to entertain for 90 delightful minutes. Led and Mike are not pretentious, they just play. Led is a genuine Hawaiian country boy, raised in a house without electricity. He had a fraternal twin brother, improbably named Nedward, who died just a week ago. Led plays the acoustic guitar and ukulele, while Mike adds the bass line from a 12 string electric guitar. They sing in Hawaiian–Mike may have the better voice, Led is better at the falsetto yodeling. It’s amazing how fast his fingers can move. The music is great and the atmosphere is warm and friendly. Led and Mike aren’t big time divas, they’re just a couple of nice guys who came over to your house to have a few beers and jam. 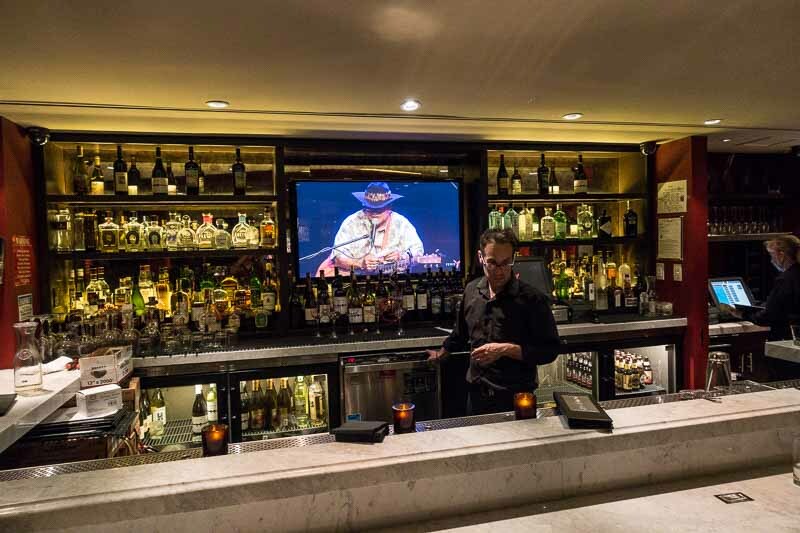 The bar is not a bad place to enjoy the show. Eventually, it was time to close the show. 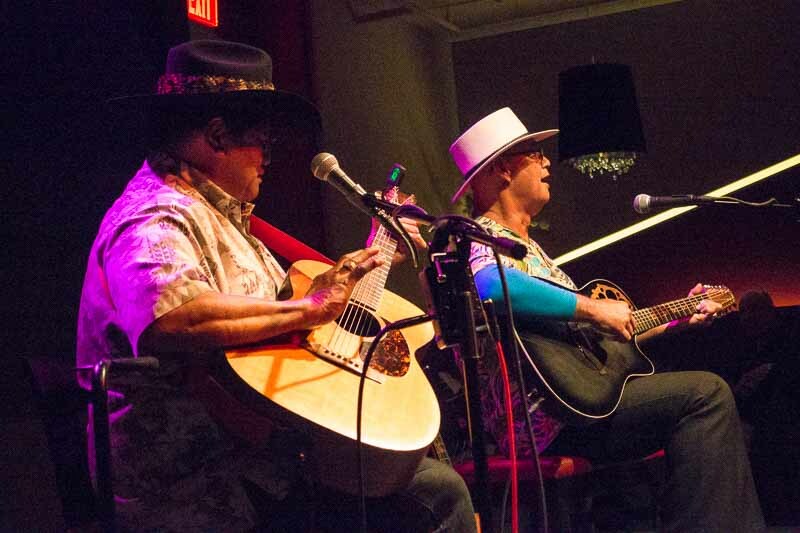 They asked what anyone wanted to hear, and someone shouted out “Pipeline”, which isn’t exactly Hawaiian slack key material, but it’s tailor made for a pair of guitar virtuosos who blew us all away with their rendition of the ultimate surfer anthem. After the show, it was time to make a few bucks selling CD’s. That’s probably not a great business plan anymore; we just got rid of every single CD we owned and listen solely to streaming music. Still, it’s a good way to meet the folks and press the flesh. Shaking hands like a Baptist preacher after the service. The life of an itinerant musician isn’t easy. San Rafael, Felton, Concord and Redwood City this week, Santa Barbara and San Diego next week. No time to go home for your brother’s funeral, the bills have to be paid and there is no bereavement leave for touring musicians. He’ll be back next year, and I think we’ll go again to enjoy the music and his artistry. 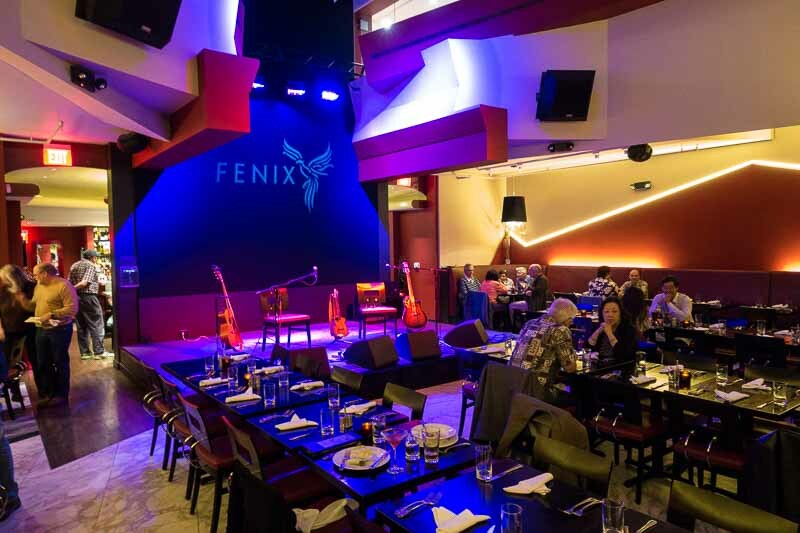 We won’t be having dinner at the Fenix, though.